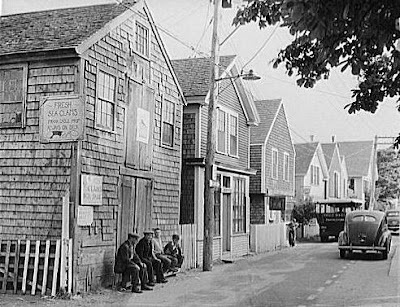 This is Commercial Street in Provincetown in 1940. Way before my time, but I recognize the gist of it. Plenty of Cape Cod looked this way when I started visiting it. None of it does now, as far as I know. Plenty of it is still pretty sweet, however. At this point, you're no longer looking at a few like-minded iconoclasts living out away from everybody because they like the light and the solitude. The artists have made an industry of it already, almost seventy years ago. The Portuguese fishermen were already yielding their primacy to the big steel boats that would scour the oceans. The town was going from a place where anyone interested enough to go all the way out onto that spit of sand-- next stop the Azores-- was welcomed by the locals as a familiar, to a place where the unusual was the ordinary, and the old locals faded away with their industries. The tourists have never abandoned it. Cape Cod, and Provincetown, are very much Not In My Back Yard Places now. It's hard to do much of anything building-wise. There is no more reactionary person than a wild-eyed progressive who has beaten the forces of the last reactionary, it appears. I like Provincetown now. But I liked it before, too, as it is pictured in 1940. It is useful for some to remember, while you are hamstringing everything, that if you were around before, the thing you are trying to preserve would never have been allowed to come into existence in the first place. There is no amber for any of us to hide in. We must swim in the ocean of seconds and minutes, and hope the change passes over our gills of tradition lightly enough that we don't choke on it. Good luck. I don't plan on choking as wash down all of my change with cold lemonade. Is the fishermen's shack to the left of the photo the building that now houses the Martin House Restaurant, next to the Boatslip Motel? I think so, because of the alley leading down to the beach, but it's hard to tell. The photo is timeless, in the sense that the buildings are still there, but the atmosphere is so different. It's odd to look at a picture of a place you love and think you know well, and realize it has a past you don't know at all. tjl- I don't know the town well enough to even guess at your question. The Cape Cod Times has a web camera right on Commercial Street you can find easy on the Google thang, if you need a fix of Outer Cape. It depresses me a bit that the first building I saw on it is vinyl sided. 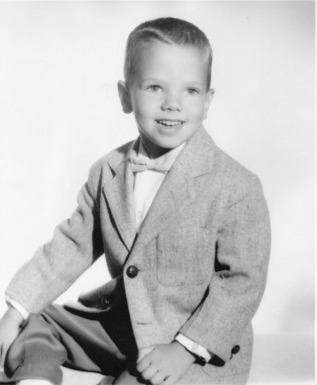 Gerard tells a terrific joke in the caption of the picture on his blog. Everybody go read it. 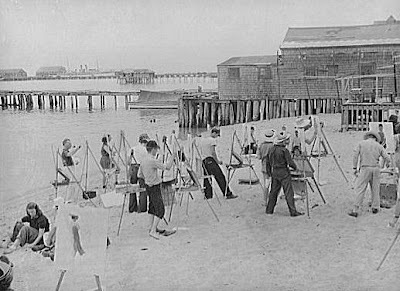 In Robert Nathan's "Portrait of Jennie" a bit of this Provincetown era is described in Chapter 15. I especially love his mentioning taking the midnight train from NYC and arriving in P-town the next afternoon. Nary a train to P-town now. A lovely description of the view out the window past Yarmouth, Brewster, Wellfleet. Observations on the Portuguese fishing community and the artist colony. It's a snapshot he's left us.